A sweet cousin of mine found a new love in his life he couldn't let go of resulting in a visit to Des Moines and Ames, Iowa for a wedding! I don't know about you all but visiting the great state of Iowa was never on my list of things to do. However, I am quite glad I did. If you look hard enough there is something appealing about most anywhere you visit. The hubs and I try to do just that when we find a new adventure. Our trip was planned in between a number a festivals in the Des Moines area that sound fantastic. You might check www.catchdesmoines.com for some other great ideas and festival information. There is an outdoor skating rink that sounds quite lovely during the cooler months of the year. We walked past it right next to the river downtown...so fun! We didn't make it to their botanical garden but that also sounded lovely. Their gardens are mostly indoor to help the plants live through the frigid winters so its pretty cool in the sense that you could go any time of the year. Speaking of frigid winters...I think it would be so fun to experience a time or two. I will warn you that most of downtown Des Moines shuts down on Sundays. 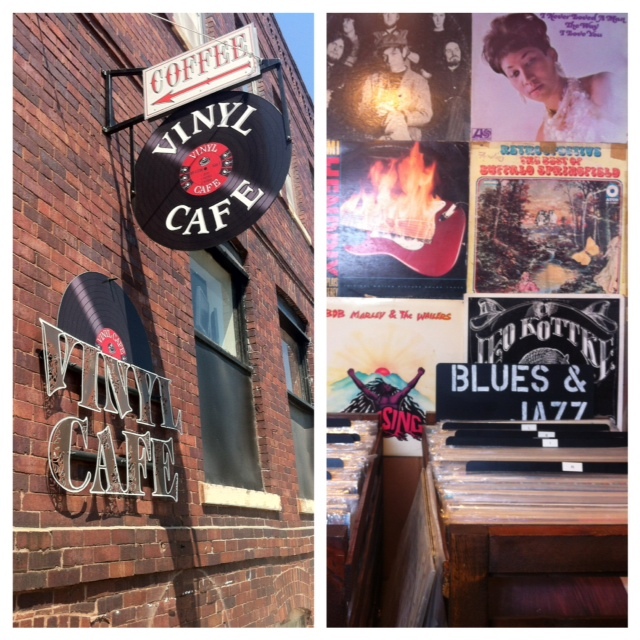 Unfortunately this was our Des Moines touring day but we still found a couple of cute shops. In the Historic East Villiage there are a number of fun little spots. We found a gardening store called Seed that I really wanted to take home with me. Just around the corner from Seed (turn right when you exit) is an antique shop with some really great finds...also wanted to take this store home with me. The shops are a short walk to the capital building (seen below, big gold dome) and to the river. I would like to take this time to give kudos to the city's landscape architect or beautification committee. The landscaping downtown is so lovely. To top it off the city is very clean! We tried Zombie Burger, as it came highly recommended...it was a fun experience and they have some crazy-fun french fry toppers and milkshake combos but I am sorry to say their Mushroom Apocalypse burger is not worth a recommendation. Just north of Des Moines is Ames, Iowa, the home of Iowa State University. This quaint little town is home to some lovely little shops and restaurants. 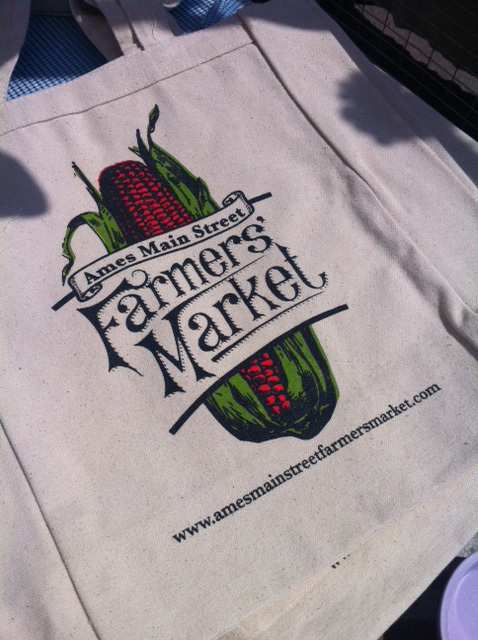 Downtown every Saturday morning between May and September from 8am-noon Ames hosts a local farmers market. 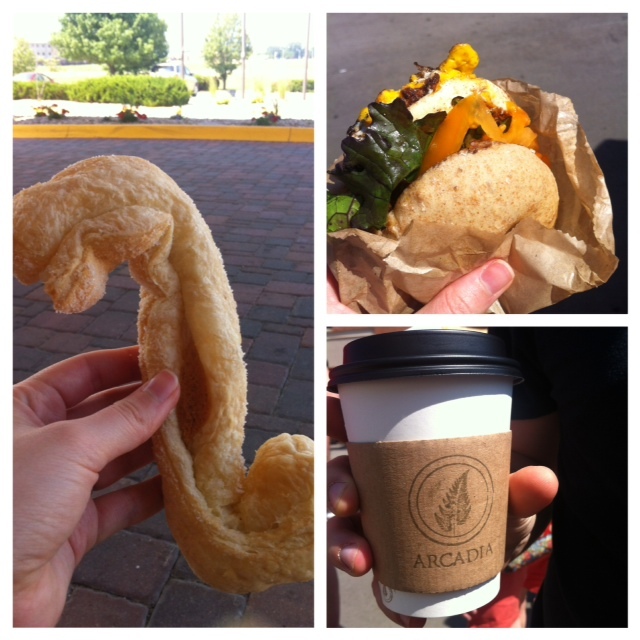 We enjoyed our pre-wedding outing to the market. 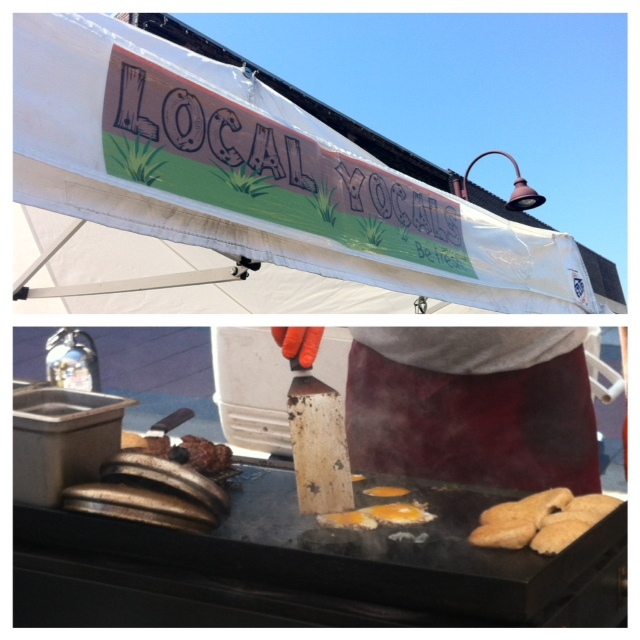 We found some fantastic egg sandwiches from a local farmer and a yummy pastry that is "an Iowa thing." I'm all over it if I hear it is local to the area. This is how you get to know the people and places you visit...do as they do, eat as they eat. 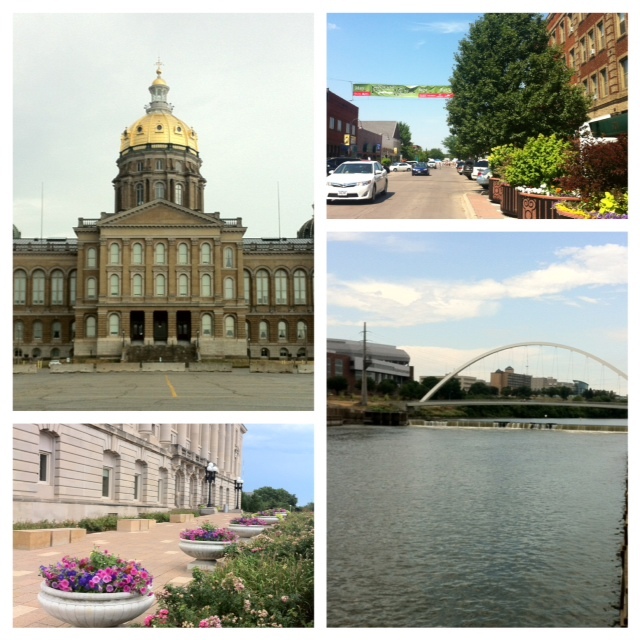 Let me know if you ever find yourself in Iowa and if you found any other fun stops! Go forth and explore! On this vacation i'll be there. A lovely place to visit. Let your girls at Paper Pearl know if you go and what you find! Thanks for reading! !